GRANDER® water revitalization offers your guests extra perks that will set your enterprise apart. GRANDER® stands for more vitality and well-being as well as a conscious, sustainable way of life in harmony with nature – values that more and more people care about. Many people strive for sustainability and a good quality of life in their daily routines and also seek these properties when they are guests in restaurants or wellness or medical facilities. GRANDER® helps you cater to these wishes, offering a special extra to patrons while simultaneously expressing your appreciation for your guests and leaving a lasting good impression. 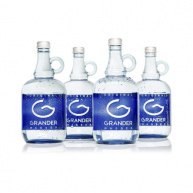 Once people have experienced the remarkable effects of tap water revitalized through GRANDER®, they no longer want to do without it: GRANDER® water is not only healthful, it also boasts a superb taste. You would like to offer an outstanding drink to your guests? 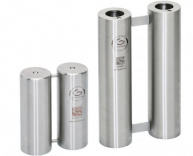 You would like to boost your guests’ well-being through water that is incredibly gentle to skin and hair? You would like to improve your customer retention rate and image? You want sustainable savings, both with regard to finances and natural resources? You truly care about running a company that is environmentally friendly and conserves resources?